The Weir-Jones / Terrascience Groups based in Vancouver, BC, have had extensive experience with advanced research and development projects since the early 1970s. Clients have included railway companies, Provincial and Federal Ministries, Crown Corporations, and mining companies. The R&D work has led to the production of monitoring systems, which have included seismic/acoustic equipment, electromechanical devices, and optical systems. In many instances, these systems have been permanent and have generated safety related data on a continuous basis. There are tens of examples in our portfolio such as development of DAS equipment for hydrological, geotechnical, structural, and environmental monitoring applications and/or development of custom testing equipment. Weir-Jones provides specialized instrumentation and testing services to clients in the oil and gas, marine, pipeline, ground transportation, and materials handling sectors. A typical project commences with the definition of the problem. This is followed by the collection of physical and mechanical data from the equipment or structures. Data analysis and interpretation is usually carried out at the head office in Vancouver where analytical and data processing facilities, together with NIST traceable testing and calibration equipment, are located. Failure analysis of mechanical, structural, and electrical systems. Accident reconstruction for transportation and materials handling equipment. Litigation support for counsel and insurers. 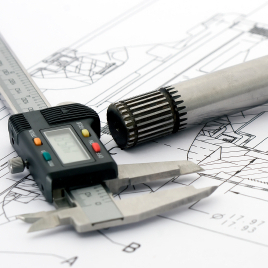 In addition to offering engineering solutions by designing and manufacturing proprietary software and hardware, Weir-Jones Group can also provide analysis services in the areas of design assessment and optimization, structural integrity assessment, and/or mathematical modeling.